At Village Health, we work as a team. This is so we can provide the best care possible for you, and also a great way of building camaraderie and a good working environment for us as well. You don’t always need to make an appointment with a doctor, sometimes a nurse or one of the other staff may be able to help you just as well (and sometimes even better!). Have a look at the role descriptions below to get an idea of how we work. The doctors at Village Health see patients directly for medical care and also oversee all the patient care. Even when you are not seen by the doctor, the others are able to consult with them if things are out of order. You should pick one of the Village Health doctors from looking through the profiles and try and stick to seeing them for most of your consultations. Sometimes your normal doctor may not be available, as most doctors do not do clinics every day. However, one doctor and a nurse run an acute clinic in the morning and afternoon. If you are sick on the day or have an urgent request, this is the best clinic to book into if there is no appointment available with your normal doctor. The acute clinic is sometimes extremely busy so we are unable to help you much with your shopping list unless there is extra time available. 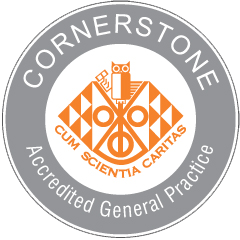 We are becoming a teaching practice of the NZ College of General practice. This means that we will have GP registrars working at Lincoln Road. All registrars are qualified doctors and many have extensive experience in the hospital system. We would encourage you to make appointments with them (we all need to do our bit training the newbies!). They are always under supervision with one of the other doctors in the practice so if they have any questions they can always get advice. You can book appointments directly or be referred by the doctor to see a physiotherapist. Our physiotherapist is especially good with acute back pain as she can teach you manage your pain in the acute phase. Other types of musculoskeletal pain can be seen initially by a physio who can provide you with strapping. It’s no trouble for her to pop through to the doctors and get a script for pain relief if you need it. To see our Physiotherapy treatment list, please click here. The nurses run their clinics alongside the doctors, as well as doing any tasks that come out of those consultations. A nurse consultation is cheaper and more convenient than seeing the doctor. Be assured that if something appears amiss, they will pass you onto one of the doctors. We now have the luxury of an HCA in the practice. The HCA’s assist the nurses by doing many of the routine tasks such as clinical observations (heights, weights, BP, Pulse etc). They get equipment ready and are involved in cleaning and tidying rooms before and after procedures. HCA’s are also involved in administrative tasks such as the recall system and notifying normal results and follow-up requests. This has freed the nurses up hugely to be able to spend more time in clinical care. Our reception staff are your first port of call when you want to make an appointment or need a prescription etc. Now you don’t need to ring us for everything – you can email via Manage-My-Health and they will forward the request on as appropriate. We have a range of health professionals available for consultations, have a look at the roles to decide who would be the best person to see. You can also email us for free for up to three days after an appointment if you have any questions via the Manage-My-Health portal. Sometimes you might just have a question about something but don’t really need to come in for an actual appointment. Although there is still a charge for email requests, this might be a better option for you. For example, you might be travelling overseas and want to know what vaccinations you might need. Village Health has a visiting doctor that specialises in vasectomy operations. They are accredited as Southern Cross providers and because they do them all the time, they are really good at them! Drop a line via www.snip.co.nz to make an appointment and they will let you know when they are next available.